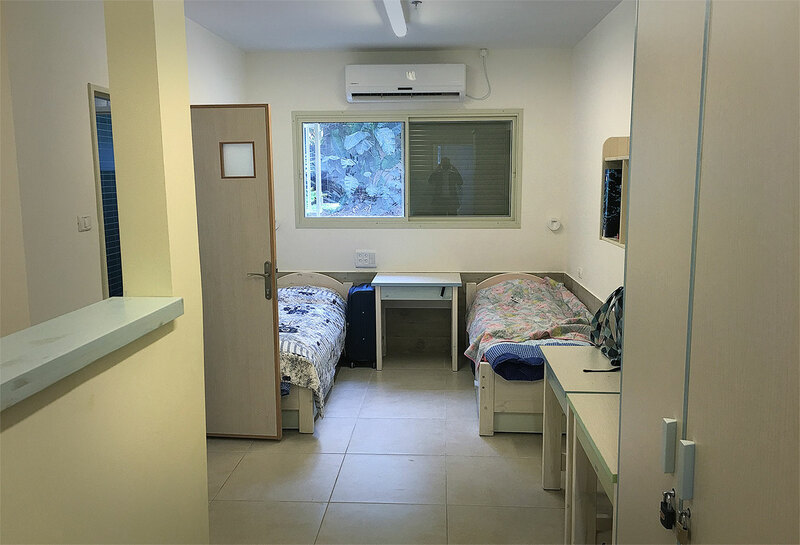 The Shapira multi purpose day care center acts as a warm and open home for children and families from the Shapira quarter, which are mostly of lower social-economic class. A generous donation by The Mary Bendet Foundation allowed a massive renovation of the afternoon class bathroom, installation of air conditioning in the entrance lobby, renovation of the afternoon class’s and the infant class’s playgrounds, purchase of new furnishings for the entire daycare, purchase of new equipment for the daycare kitchen as well as a multitude of children’s books, games and toys. All these allow us to offer the children and their families better conditions which will help them progress educationally and therapeutically. The rich assortment of game and books raise the level of care for the children and better addresses their developmental and emotional needs. This is particularly important due to the fact that many of the children in the daycare are characterized by various developmental delays. The renovated playgrounds created a safer and more pleasant environment for the children. They enjoy the active games in the yard and the daycare staff has a variety of options to exercise the children and release their energy and stress. The rubber flooring, which replaced the sand pits in the yards, created hygienic conditions more suitable and safer for the children. The bathroom renovation allows the staff to teach better hygiene habits and toilet training for the children and their parents, all this in a fresh and comfortable surroundings. 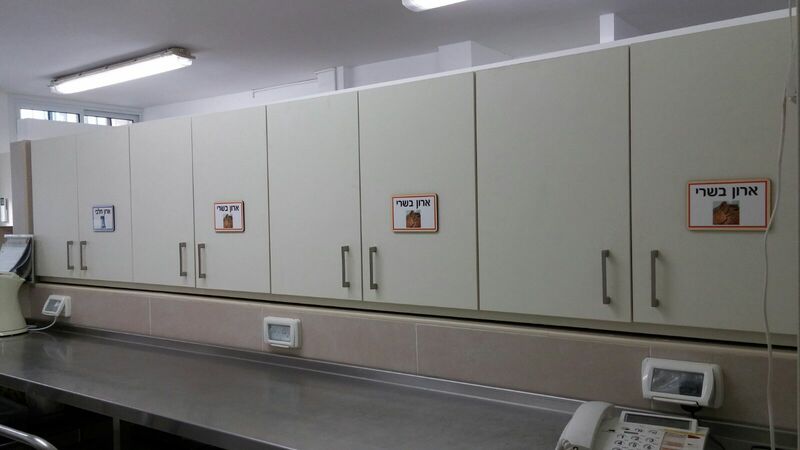 The new kitchen equipment raised the level of cooking conditions for the daycare cook, who prepares fresh and nourishing meals daily. Benny, aged two and a half years old, comes from an orthodox family. 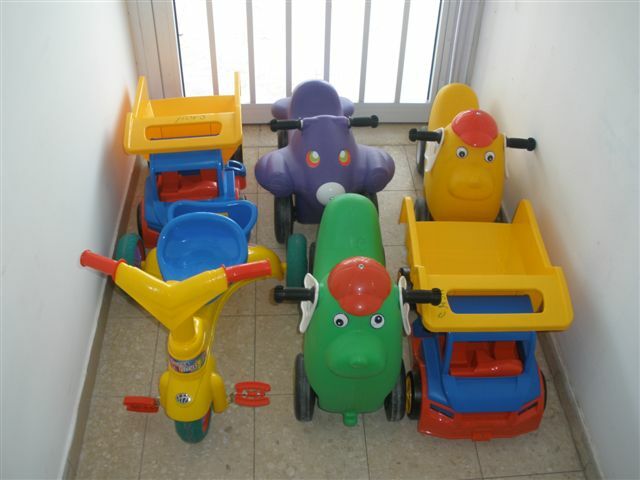 He was referred to the WIZO Shapira daycare by the welfare department, after a social worker visited their home and was shocked to find out that Benny did not talk at all and had no toys or books. In spite of their religious beliefs, the parents appreciated the staff and the kitchen and agreed to register Benny. They doubted if Benny could fit in and warned us that he has sleeping disorders and other difficulties. Benny quickly integrated into the daily routine with a warm welcome from the whole staff. He was excited to play with toys, happy to meet other children, enjoyed the food and slept well – always with a smile. In addition we started a training process with the parents, who come once a week to meet the daycare’s social worker. The parents were referred to the Institute of Child Development for diagnosis and we helped them interface with the relevant authorities. The parents cooperated and Benny was diagnosed. Following the diagnosis we filled a request for a daily personal assistant to help Benny during his stay in the daycare and advance his development, in parallel to other treatments that he will receive outside of the daycare. In addition, Benny and his mother will take part in group guidance for parents and children by the daycare’s social worker and art therapist. Benny went through a social integration process, exposing him to the world of children and games. He also went through a diagnostic process, with support and parental guidance provided by a social worker, and was referred to a speech therapist to treat his language delay. The daycare also helped the parents to interact with the authorities, resulting in the decision to provide a personal assistant to empower him. This is an example of a process that took Benny out of his isolated world and exposed him to normal life. We hope that it will help Benny and give him a greater chance of success in the coming years. There is no doubt the donation of books and games, and the improvement of the educational environment in the daycare allowed to provide better care for children like Benny, who come from a difficult socio-economic background and were not exposed to stimulation suitable to their needs, to games and to enrichment activities.